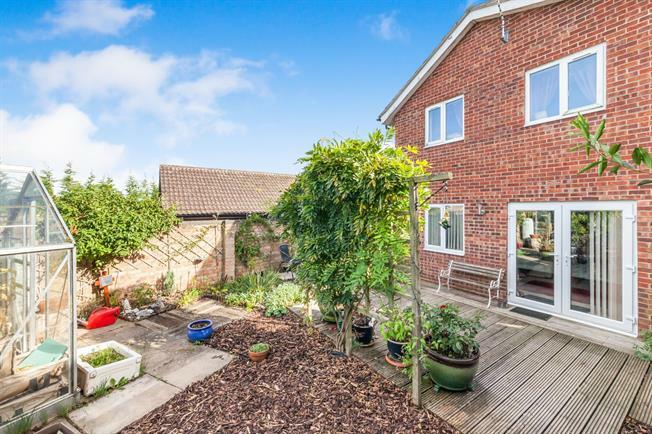 4 Bedroom Detached House For Sale in Beccles for Offers Over £240,000. An extended family home offering generous family accommodation throughout Boasting spacious proportions, the kitchen/dining room offers a wealth of space in addition to the utility room, ideal for those looking for open plan living. The sitting room is another generous room with double doors leading out to the enclosed rear garden. Upstairs, all four bedrooms lead from the landing in addition to the family bathroom with the master suite benefitting from a vaulted en-suite shower room. Outside, the driveway allows parking for one vehicle and access to the garage. The enclosed garden to the rear has been landscaped for low maintenance with a variety of raised beds and decked terraces. Ideally situated within a popular residential area, viewing is highly recommended to fully appreciate the space this home has to offer.